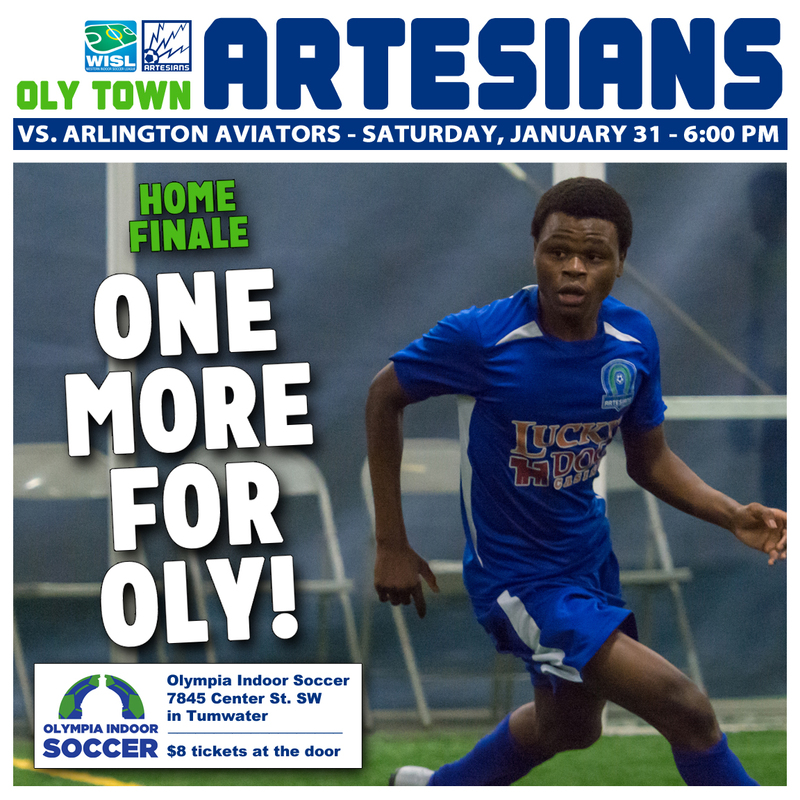 OLYMPIA, Wash. – With a playoff spot secured this past Saturday, the Oly Town Artesians are focused on finishing the regular season on a high note against the Arlington Aviators on Saturday night at Olympia Indoor Soccer before turning their attention to the Tacoma Stars in the first round. 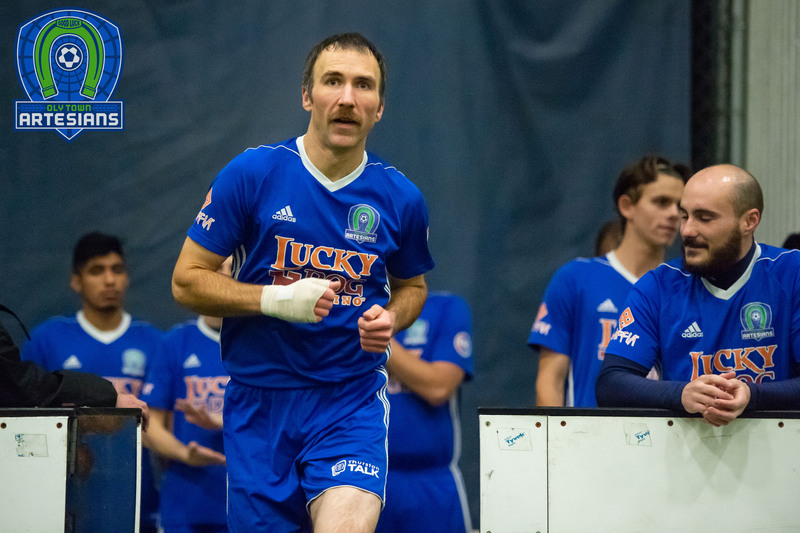 The Artesians have dropped four straight Western Indoor Soccer League games since Matt Stalnik scored with 12 seconds left to give Oly a wild 7-6 comeback win in Arlington on December 13th. For his effort, Stalnik was taken out after the play and suffered a serious season ending knee injury. The Artesians have struggled to find anybody to replace him and his four goals as a target up top and have dropped from second place to fourth place since his injury. Willie Spurr and Greg Wolfe still sit in the top five of goal scorers in the WISL. Spurr is tied with Wenatchee’s Adrian Espinoza for second place with ten goals while Wolfe sits alone in third place with eight. 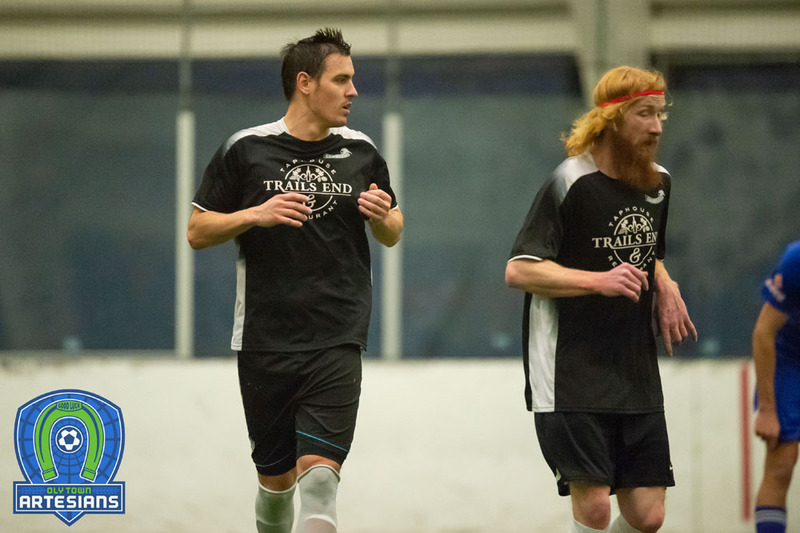 Tacoma’s Derek Johnson leads all scorers in the WISL with 14 goals scored. Player/coach Nate Salveson is third on the Artesians with five goals scored this season. Arlington comes into the game with one last opportunity for their first win. If the Aviators had been able to pull out a win on Saturday against Bellingham, this game would have had more meaning with the last playoff spot still on the line. But the Hammers took care of business for the Artesians with a 7-4 win in Arlington leaving this game as one simply for pride to close out the regular season. CLOSE BUT NO CIGAR: Except for one game against the Stars, every Artesians game has been close. 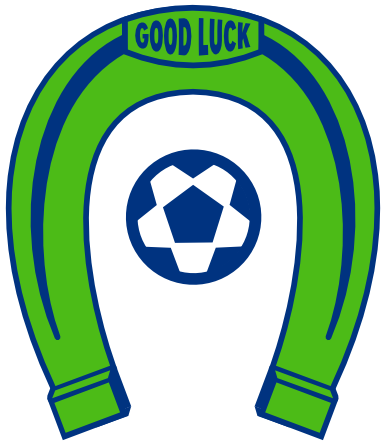 In league play, they have three one goal losses (6-5 vs. Seattle Sporting, 9-8 vs. Bellingham, 9-8 @ Wenatchee), two two goal losses (7-5 @ Bellingham, 11-9 vs. Oly Indoor All-Stars) and one three goal loss (8-5 vs. Tacoma). Their wins have come by one goal (7-6 @ Arlington) and two goals (10-8 vs. Wenatchee). QUICK STARTERS: The Artesians have scored first in every one of their WISL game so far this season. MID-GAME BLUES: Where has it gone wrong? The second and third quarters. The Artesians are even with their opponents in the first and fourth quarters at 27 goals (and that includes a six goal outburst by Tacoma in a blowout) but have been outscored 35-18 in the second and third quarters. Oly has only managed to score seven goals in seven games in the third quarter. DOUBLE-H NEWBIES: Brand new Artesians Issa Hassan and JC Henson have had a big impact since joining the team in Wenatchee two weeks ago. 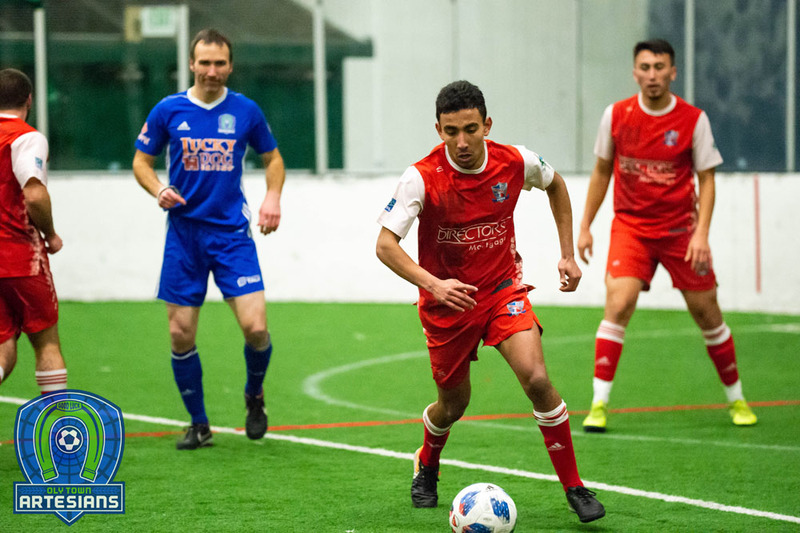 Henson scored twice and Hassan once against the Fire and Hassan collected a hat trick in the friendly against the Oly Indoor All-Stars and Henson added a goal as well. AVIATORS NOTES: Arlington is the lowest scoring team in the WISL with just 25 goals this season. 14 of those goals came in two games against Oly and Wenatchee. In their five other games, they have scored just 11 goals…Aaron Bruns leads the Aviators with six goals…Eric Cruz has been outstanding in goal for the Aviators despite the losses and is a big reason why they are third in the league in goals allowed giving up 6.9 per game. First kick in the home finale at Olympia Indoor Soccer is scheduled for 6:00 PM, doors open at 5:00 PM. Tickets are $8 for adults, $5 for kids ages 5-12 years old and will be available at the door. Casa Mia Pizza will be on hand making pizzas and the beer garden will be open for fans 21 and over. There will be prizes and giveaways throughout the evening. The Artesians open up the WISL Playoffs against the Tacoma Stars on Saturday, February 7th at 7:30 PM at the Tacoma Soccer Center. For ticket info, stay tuned to http://www.olytownfc.com or follow the Artesians on Twitter @OlyTownFC or Facebook at Facebook.com/OlyTownFC.